These two MADs (mandibular advancement devices) made by VitalSleep and PureSleep both work very well. My wife and I slept comfortably with both devices. The convenience factor of the VitalSleep ultimately made it our preference over PureSleep. You have to be careful during the fitting process with PureSleep. Review all the instructions before you try either product. Reading my reviews on each will help you make the best decision. 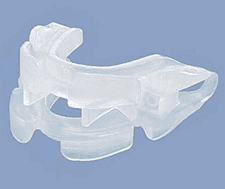 PureSleep comes in two parts: one piece fitted to the upper jaw and the other to the lower. Once you find the most comfortable fit, you use the boil and bite method to customize it. This means, however, that you must take extra care during the fitting process, as you cannot adjust it after you do the boil and bite. This device has a number of small crevices, so you must be diligent when cleaning. Ordering and shipping took significantly longer than it did for most anti-snoring devices I have ordered. Initially, I had to fill out a 21-question form. I did not mind this very much as I wanted to make sure I was a good candidate for the product. The two-week shipping time, however, annoyed me a bit. The first night went well for me. I woke up refreshed and my mouth did not feel sore. My wife, however, had a bit of an ache in her jaw. However, after three or four days, she no longer experienced soreness and awoke without pain. My son told us, after the first night, that he did not hear any snoring sounds coming from our room when we wore the PureSleeps. My wife and I were annoyed by the complicated cleaning process though. It took a lot longer than with most other stop snoring devices due to the customized design and many nooks and crannies. 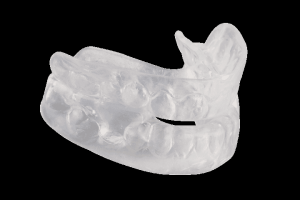 VitalSleep stabilizes your lower jaw while pushing it forward, which allows you keep your airway clear when sleeping. VitalSleep has been cleared by the Food and Drug Administration (FDA). VitalSleep markets itself as Made in America. Compared to other MAD products, this one arrived very fast. Since the website is secured with a Norton Shopping Guarantee, the product will ship out the same day as long as the order is placed by 3 pm. We customized our mouthpieces with the boil-and-bite technique. Despite its appearance, VitalSleep is actually comfortable. My wife especially loved the way her device fit. Usually, one-size-fits-all MADs do not fit well in her mouth. This one was easy to adjust using the hex tool provided. The next morning, we felt energized and the device only left me with a mild soreness in my mouth and jaw. Our teenage son said that neither one of us had snored the night before. I decided to try readjusting it to see if I could eliminate the soreness. After doing so, I noticed that my mouth felt better after the second night. My wife and I were reasonably satisfied with the cleaning process. Since there are so many different gaps and crevices in the device, it did take a fair amount of time to scrub it clean. I used a toothbrush and toothpaste to clean it, along with a denture tablet once a week. The biggest drawback of the PureSleep concerns the fitting process and the elaborate cleaning. My wife would have been a lot happier those first few nights if she had been able to adjust it after the boil and bite like she could the VitalSleep. 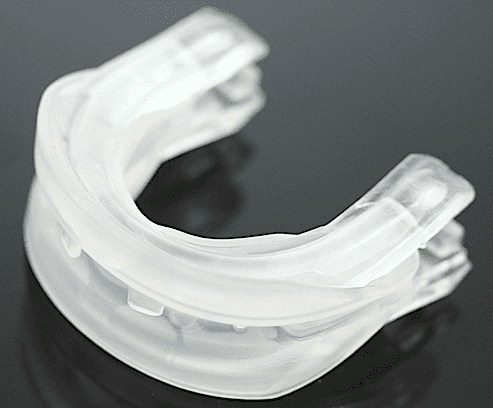 If you purchase either mouthguard, make sure to use a VitalSleep coupon or PureSleep Coupon.